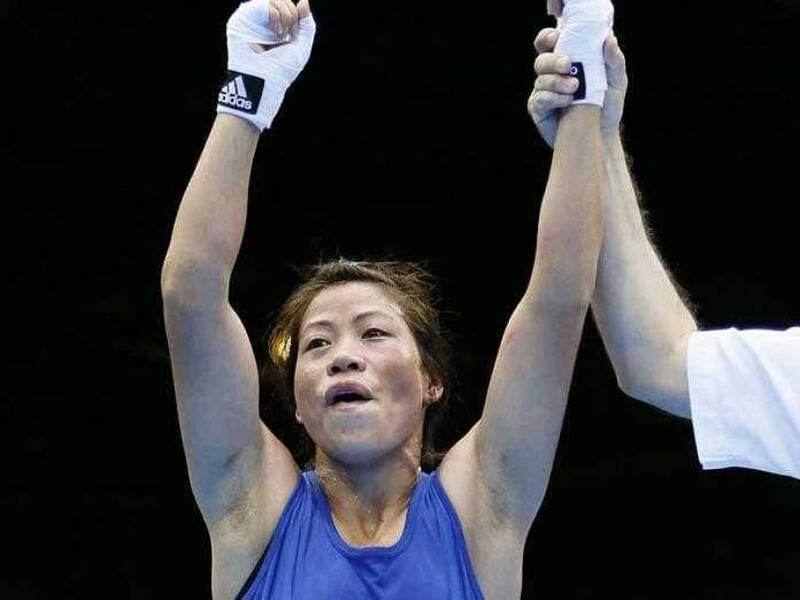 Mary Kom, Sarita Devi and Pooja Rani's gold medals meant the Indian boxers finished their South Asian Games campaign with all the 10 gold medals in boxing after the men's gold-winning exploits on Monday. With Mary landing some powerful blows, Anusha lost her balance and injured her right knee. This forced her to take a medical break before attempting a comeback. However, a thunderous punch from the five-time world champion sent her almost out of the ring before the referee intervened. The injury to Anusha will take about two-three months to heal. "Anusha has sustained medical collateral ligament tear which would take about two three months to recover," the Sri Lankan team doctor told PTI. The atmosphere was electrifying at the North Eastern Hill University in the outskirts of the city with the SAI Complex, which has a seating capacity of only 500, filled up to the brim and spectators queued up since morning. The event got off to a 40-minute delayed start owing to some technical issues. Anusha, the first woman boxer from her country to win a gold in the 2003 Asian Championship, had thrown a challenge to Mary Kom before the bout but the Lankan was left crying on the podium. Asked about her opponent who had challenged her, Mary Kom told PTI: "I'm so happy when anyone challenges me, I don't comment before the bout. But deep inside, I was very positive." "After children, the comeback is not easy. I still do training to motivate myself. I'm thankful to my entire team," she said. After the rousing start given by Mary, Incheon Asian Games bronze-medallist Pooja Rani Devi signed off the campaign in style in the 75kg when she overwhelmed Nilanthi Andaraweer by a TKO in a bout lasting only one round. The only scare India endured was when Sarita Devi, returning to competitive ring after her one-year ban following the infamous Asian Games meltdown, faced a stiff challenge from another Lankan opponent in M Vidushika Prabadhi. The Incheon bronze-medallist overwhelmed the Lankan in the first two rounds but her opponent came back strongly in the third round with some powerful blows leading to Sarita falling twice before the Indian won by a narrow 39-36 margin to be adjudged unanimous winner 3-0. The pugilists thus finished their campaign with all the 10 gold medals in boxing after the men's team clinched the top honour on Monday.